But there is more to the lounge than confectionary allusions: There’s an actual chocolate creation that will be available. 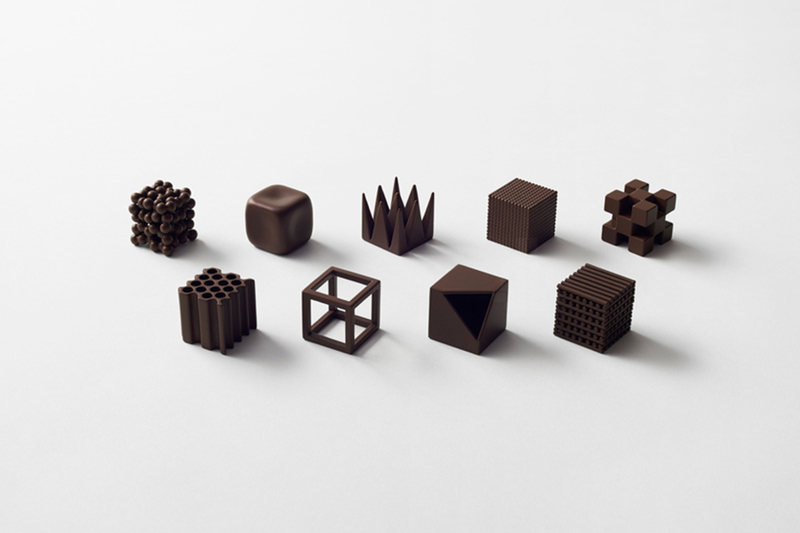 Visitors to the booth will have the opportunity to purchase one of 400 boxes of chocolates that have been preciously rendered in distinctly non-Platonic solids. On the tongue, the texture of each morsel will be different—assuming one can bear to eat such exquisite and rare entities. 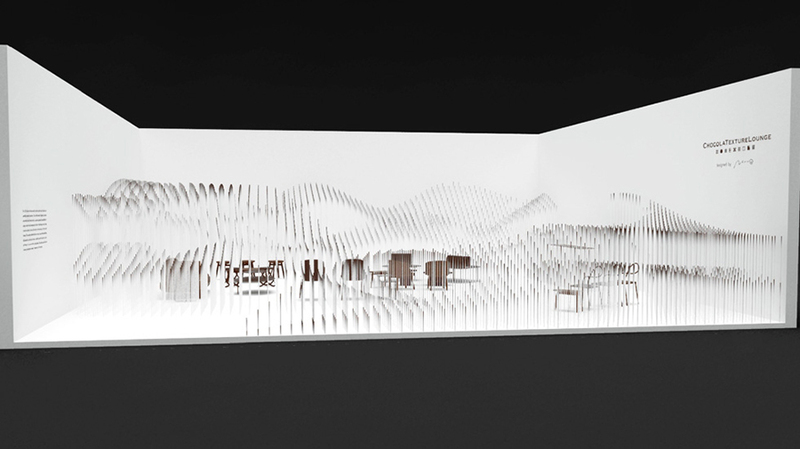 This isn’t the studio’s first foray into such sweet design. 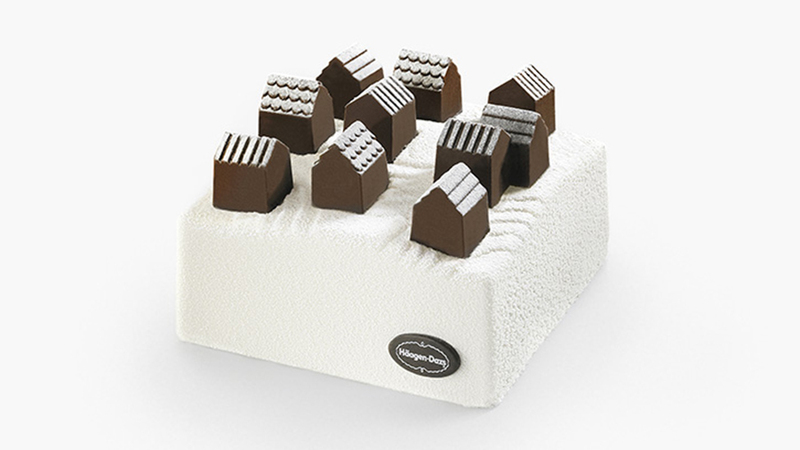 In 2014, they created chocolate villages to populate ice cream cakes by Häagen-Dazs (below). 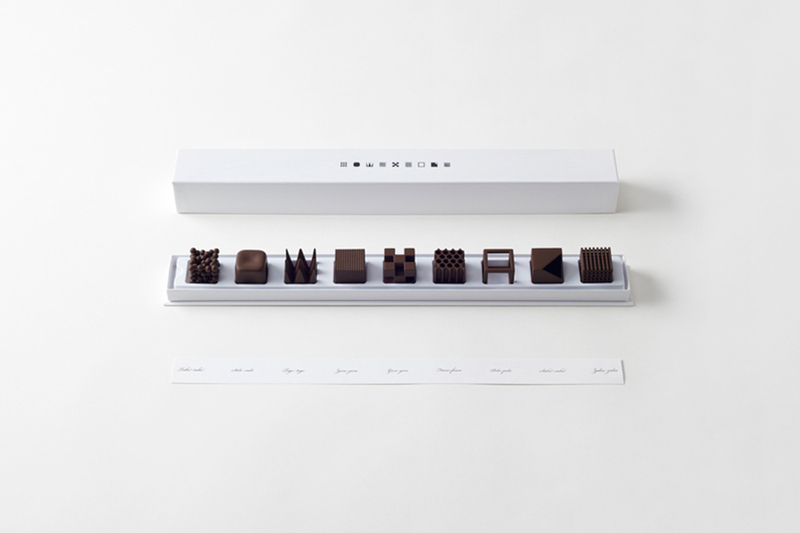 In light of Nendo’s affinity for chocolate as a material, the recognition as designer of the year, we’ll say, is just desserts.